This workshop, jointly organized with the United Nations Theme Group on Climate Change and Environment, specifically targeted university students, with the aim of increasing engagement of the next generation of leaders on climate change related issues. 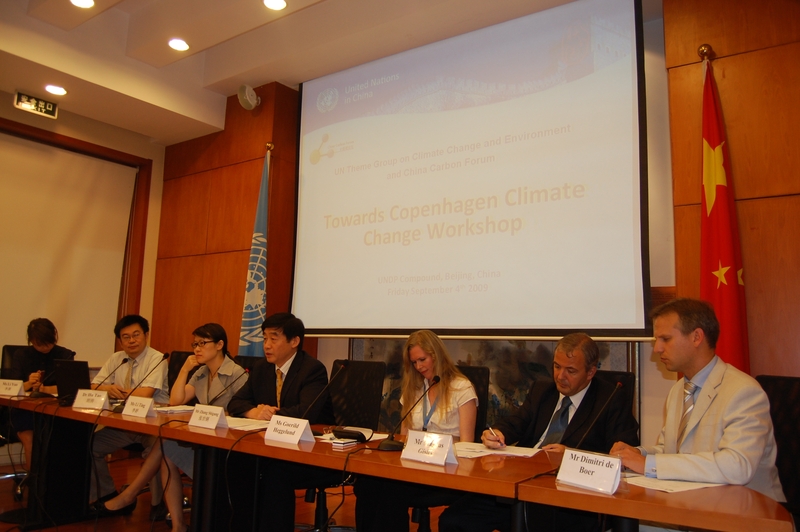 The workshop focus was on the buildup towards the international climate change negotiations in Copenhagen in December 2009. 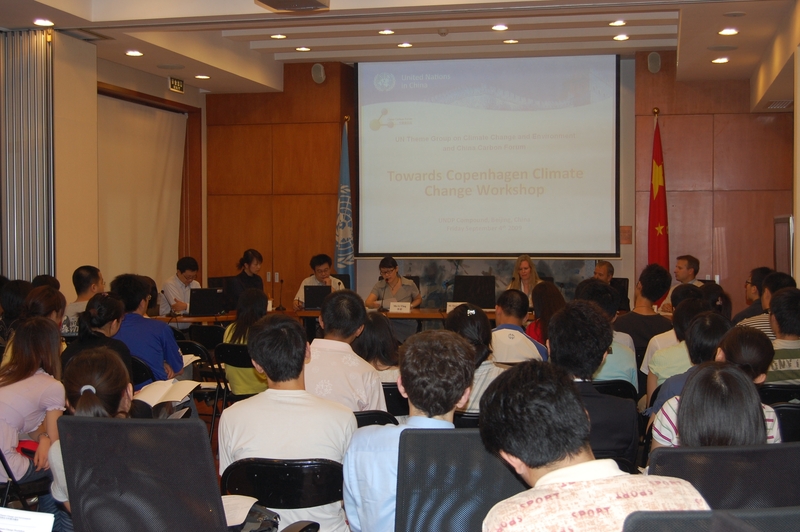 The event was moderated by Dr. Hu Tao, UN China Climate Change Partnership Framework Joint Program Coordinator. Speakers included Mr. Zhang Shigang, Country Coordinator of UNEP China and Vice-Chair of the UN Theme Group on Climate Change and Environment; Ms. Li Ting, Deputy Director, Climate Change Office, Ministry of Foreign Affairs; Mr. Magnus Gislev, First Secretary for the Environment, EU Delegation to China; Ms. Goerild Heggelund, Senior Climate Change Advisor, UNDP; and Ms. Li Yan, Greenpeace China. The speakers provided background information for COP15 and insight into the inner workings of climate negotiations, outlining the challenges and opportunities associated with reaching an international climate change agreement. 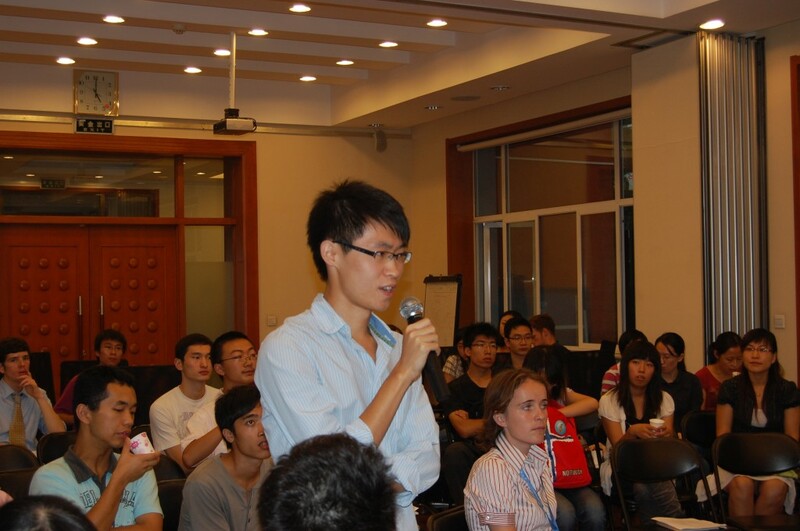 Over 50 university students from Beijing, Nanjing and Shanghai, as well as a number of local journalists, attended the workshop and actively engaged with the speakers during Q&A as well as the small group discussions that followed the panel discussion.